Okay, we all know the famous quote above. But I digress. Why I used it is because for some strange reason, we author types (especially us indie published types), have a tendency to avoid our fellow man. Why do I say that? Because until recently, I had the same tendency. We hide behind our laptops and delve into the world of social media, book promo sites, book blitzes and blog tours and still we hope to hit the best-selling list overnight. Now, before you jump on the “But Blaise, what about so-and-so?” or “What about e-commerce?” band-wagon; let me elaborate because this is something I have heard coached to me by many business coaches in many different seminars. Social media is critical in growing an online presence but it should NOT be your only point of contact. To go on, an author I love and is possibly the greatest influence on my own journey, you’ve heard me mention her before, Kristen Martin says that attending book related events is a great way to build your author platform because you are putting yourself face to face with potential readers, other authors and publishers to learn from them. Those are not your exact words, I know, Kristen. Without further ado, here are five reasons why I think that events are crucial to building your platform. Gives your readers a face: How many of us get a thrill from meeting our inspirations face to face? To get to actually talk to them about their accomplishments or ask them their advice or comment on their books. How many of us like to get our books signed in person and shake their hands? I know for me, that is an amazing feeling because it reminds me that the goals I’ve set are possible because so many times they tell me that they felt the same and went through the same trials and doubts. Your readers will be the same. They want to meet you, talk to you, get their books signed personally and learn from you. Chance to meet some mentors: Not only can you meet your heroes, but you can network with authors that want to mentor and read your work. They are willing or can point you towards potential referrals or possibly network you with the company (if they’re traditionally published) that they published with. Do not be naggy or begging about it but it is a possibility. You can ask editors questions and learn what they look for so you can edit your next manuscript or receive discounts on their services. The possibilities are endless. Huge Network Opportunity: Guys, you’ve heard so many say it, I know you have. Networking is crucial for book sales and marketing. I have learned this through so many authors and business webinars that it is not even funny. Conventions and book festivals are an amazing way to meet new authors, potential returning clients and contacts for your books and blogs. Yes, social media is great for turn-around and growing email lists but how hard are you working when you could spend the money you spend on Facebook ads to go out to the convention or festival and manually do what Facebook pays people to do. For example, my last ad campaign for Blessing of Luna reached over 300 people. Sounds great, right? I thought that too until almost all of those reached were paid to click and address ads. Talk about a let down. Budget the post boosting and splurge on the cons and festivals. Inspiration time: You want to talk about a plethora of inspiration? Events like cons and festivals are always full of groups of people who don’t know each other from Adam or Eve but get together and talk about common hobbies, strategies that worked for them or guys, can we say book swaps? Guest blog post opportunities? 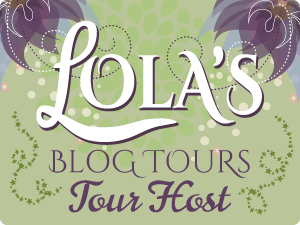 Maybe even a blog tour? 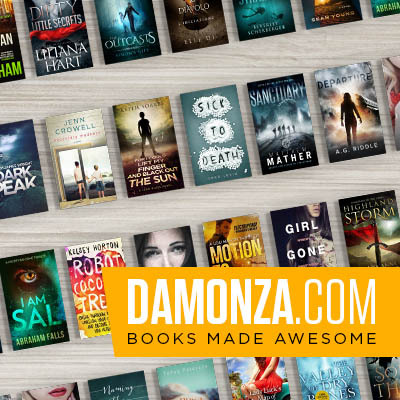 Book blitzes? And these folks might be willing to do it if you do it for them. Why would you not want to meet and greet these folks? Book ideas abound, collab opportunities. Everything you read about in self-publishing blogs for marketing is just 100$ away or you can sometimes get early bird specials if you sign up early. Scouting opportunities: Guys, this is a big one. Huge. Almost every convention you go to, there are scouting opportunities. Publishing companies, editors, freelancers, etc are all there. They are looking. You actually get to talk to them instead of waiting five months for an email. Some of them will even look at your proposal on the floor if they’re open to it. Again, don’t be pushy, they’re busy and have so many folks wanting to get looked at. I can say this because I’ve seen them in person at conventions like A-kon. They are there but you aren’t going to meet them behind your laptop. Book store appearances – Seek out your local bookstores or those in close proximity and call them to see if they will allow you to sign and sell your books in their stores. You would be amazed how excited so many of them are. Plus, you have gotten into the system. They’ll most likely ask you to return again for subsequent titles. Conventions – These are not just for science fiction, cosplayers, etc. I sold out of my book and had to switch to invoicing. Many interviews I got were from attending a convention. You meet other authors and build life long friendships. Book Festivals – You may or may not sell in a room full of other authors but hey, it’s a great thing to look at. You get to meet and network and get your book out there and do some book and review swaps. Libraries – Donate to libraries! Again this is a great networking opportunity and they want authors to come in and talk and read! Pass out ARCs – Free titles may seem like it hurts like heck but ARCs are a great review opportunity and who says no to free books? Ask for reviews – This was the hardest one. I was so nervous about sounding like I was begging but you would truly be amazed how many of them are willing to offer their feedback and reviews. You never know if you don’t ask. Pass out business cards – Always have a PROFESSIONAL* business card! You can pass them out to so many people! Many are more than happy to take them and even ask if they can take them. Be sure to include Amazon and website links! Book swag – Book marks are a great tool to get your book’s cover out there and heck you can offer them for free. Many people are more than willing to take them and often couple your book with them! Make Fliers – You have to be willing to hoof it. Take the days you have off, open word and use a template to make your fliers. Starbucks is amazing with their community calendars and they’re everywhere!!! Grab a coffee, post your flier and head on to the next location. If you have an event at a bookstore, ask the manager if they provide fliers. If not, ask them if they’d be willing to use yours! Name Drop your book/ Tell them you’re an author! – Guys, I know this sounds strange but I kid you not. Blessing of Luna has been sold at restaurants, grocery stores, and even at the end of an event. I just approached someone in the romance isle and starting talking! Always have a book! You would be amazed what can happen! * What I mean by professional is always have a .com, .net, etc. It has an air of professionalism and ongoing pursuit. Invest the money. Many domains like Bluehost, GoDaddy, HostGator, WordPress, etc have their own hosts. So, I hope this has helped you. This knowledge was gleaned from trial and error, seeking mentorships and just asking managers and professional marketers. The cruel and harsh truth is, our market is saturated but it doesn’t mean we have to fight each other. There are readers who want to read our work, heck, maybe both of our books if we work with a partner to promote our books. Social Media is a black hole that is necessary for an online presence but at the same time, offline marketing gets you out there! Try for yourself!